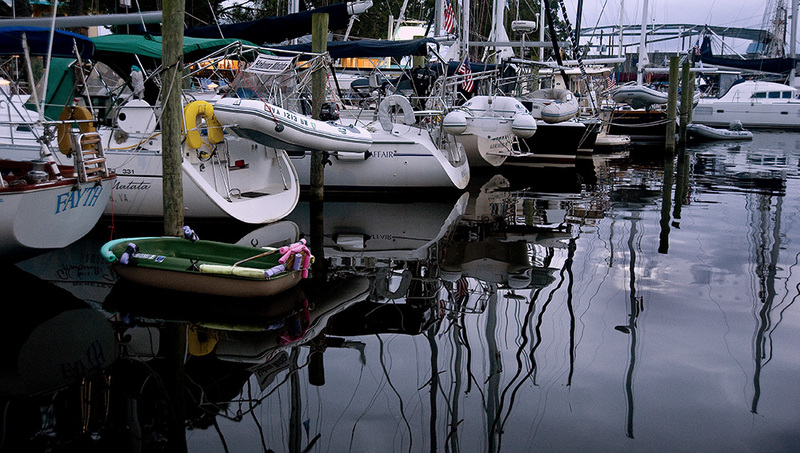 Donna Schlachman was traveling with her husband, Rob Becker, aboard Kinship, ae Hunter 380. She was recovering from Halloween night on Sunday morning with a time out for Tai’ chi. She and Bob live 6 miles from the ocean in Seacoast, New Hampshire, not far from Exeter, home of the famed Exeter Academy. Like many from New Hampshire, they keep their boat in Maine. 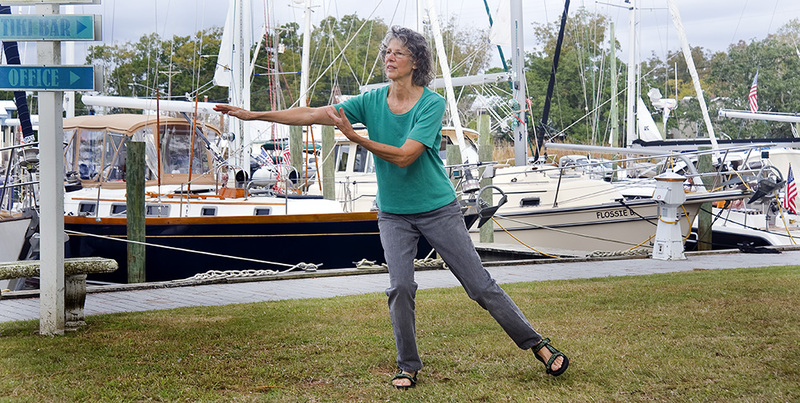 Donna Schlachman took advantage of being in port for Tai Chi exercises. George and Anne Golensky are from Monroe, Connecticut, 12 miles from Bridgeport, 6 miles from the ocean. This is their first journey this far south. They hired a captain to help them make it to Hampton for the start of this rally. George is a retired pathologist; Anne is a retied occupational therapist. 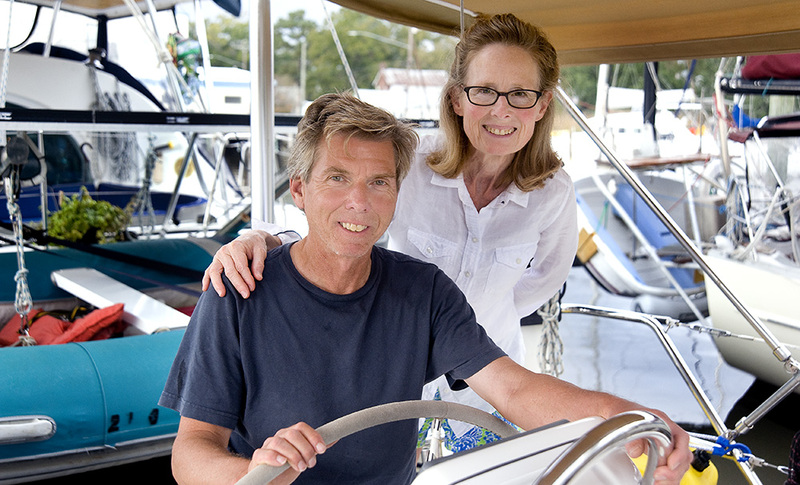 Eight year sailing veterans, but novices to southern sailing, George and Anne Golensky on their Tartan 3700. A left-over spooky sky from Halloween draped the Oriental Harbor Sunday evening as daylight, by the clock, was one hour less on Sunday.